By buying this product you can collect up to 761 Yachtaid Points. Your cart will total 761 points that will be converted into a voucher towards your next purchase! Must be logged in to collect points. The SE210 packs the power of twin counter-rotating props into a 10″ tunnel to generate exceptional power for boats from 50-70′. 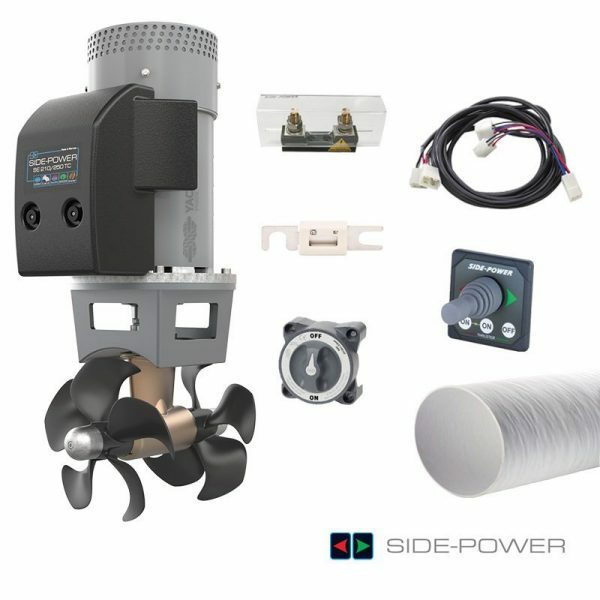 It also features Sidepower’s patented IPC control system, making it the safest thruster available today.